Our Magic Carpet Cleaning services are the answer to all your cleaning needs in Oakwood. We can send a team of professional carpet cleaners at your address on a short notice at no extra charge for you. Our team works with the latest tools and machines for both deep steam cleaning or light dry treatment for your home carpet, rugs or upholstery. Every cleaning service delivered by our carpet technicians come with out 100% clean guarantee. 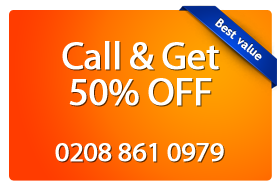 Give us a call right now on 020 8861 0979 for your free price quote and book a service with our expert carpet cleaning crew. Our upholstery and rug cleaning services, as well as our professional stain removal will tackle the small jobs. Small stains and dirty rugs stand no chance against our expert team. You can call our top carpet cleaning team in Oakwood on 020 8861 0979. Our team of polite and well-informed support representatives will provide your free price quote and guide you through our booking process. Alternatively, you can drop us a line via our quick online booking form today. We at Magic Carpet Cleaning work every day to get your carpet cleaned the way you want it cleaned!